The exhibition catalogue Georgia O’Keeffe: Living Modern, by Wanda M. Corn has received the 2018 Dedalus Foundation Exhibition Catalogue Award. 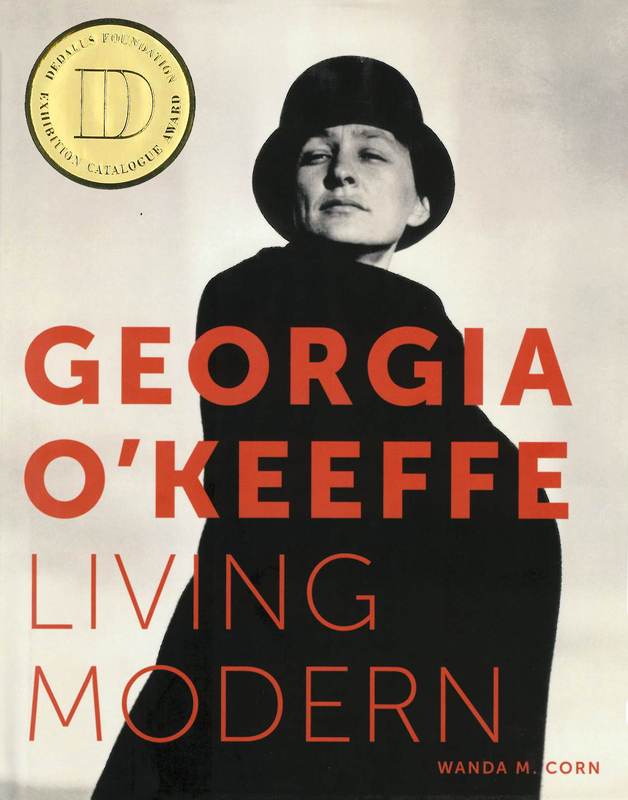 Georgia O’Keeffe: Living Modern presents a meticulously researched and fresh perspective on O’Keeffe’s personal style. It uncovers O’Keeffe’s consistent and disciplined minimalism, which integrated her art, her self-fashioning, and her day-to-day living. It also illuminates how O’Keeffe purposefully dressed and composed her body to proclaim her modernity when posing for photographers, demonstrating her understanding of the power of photographs to generate and project artistic persona in the early 20th century. In her catalogue essays, Wanda Corn shows a nuanced appreciation for the multiple ways O'Keeffe embraced the modern idea of a unified lifestyle. The handsomely designed catalogue explores O'Keeffe's cohesive modernist aesthetic by bringing together photographs, clothes, and art. It reveals how an examination of the artist’s material culture can deeply expand our understanding not only of her work but also of American modernism. Wanda M. Corn, the Robert and Ruth Halperin Professor Emerita of Art History at Stanford, is a scholar of late nineteenth- and early twentieth-century American art and photography. She earned a BA (1963), MA (1965) and Ph.D. (1974) from New York University. At Stanford she held the university's first permanent appointment in the history of American art and served as chair of the Department of Art and Art History and as Acting Director of the Stanford Museum. Professor Corn has curated a number of museum exhibitions and she has produced a number of books and catalogues, including The Color of Mood: American Tonalism 1880-1910; The Art of Andrew Wyeth; and Grant Wood: The Regionalist Vision. Professor Corn has long been engaged with the art and life of Georgia O’Keeffe, and has written extensively about O'Keeffe's skull paintings in her 1999 book The Great American Thing, Modern Art and National Identity, 1915-35, which was published by University of California Press.